“The grave of the pyramid builders was discovered by a tourist in 1990”. Workers with specialist skills lived nearby, while migrant labourers worked month long shifts. The craftsman (stone carver) lives with family in a typical Egyptian house within a labourer’s town. The house has a pillared public area, a domicile and a rear area for cooking. At dawn he rises and has a breakfast of figs, dates and bread with his family. Meanwhile, a migrant labourer rises in a simpler dwelling that he shares with other men. The craftsman joins fellow workers and they head to the quarry. The pyramid has been under construction for over a decade, but the craftsmen consider its construction as part of their duty to the gods. Pyramid builders use stone and copper tools such as chisels and drills. At other times they will be carving passages within the pyramid itself. The labourers are attempting to shift a 2.5 ton block from the quarry. Wooden containers in the shape of a quarter circles are attached to each corner of the block so it can be rolled along like a barrel. At other times the blocks are dragged along using robes, and sled-wheels would be impeded by sand and gravel. In the mid-morning heat, the pyramid builders break and chat. The stone carver goes to an area of shade and maybe takes some wine from a pitcher. In the early afternoon, both the stone carver and labourer break for lunch. They eat bread and fish caught in the Nile. When the labourers reach the building site, they must transport the blocks up ramps encircling the core of the pyramid. The men haul the blocks along the ramps by rope and lever them upwards. Huge amounts of gypsum and rubble are used to fill the gaps between the blocks. The pyramid builder arrives home and he and his family have a meal of roasted beef or mutton with carrots and lentils. As darkness gathers, he has some beer and lights an oil lamp. If in the mood, he might play the board game senet with his children. As his family settles down for the night, the labourer is doing likewise, dreaming of the day his shift ends and he can return to his family village. A unique necropolis located to the south of the plateau of Giza, were the famous constructions of Khufu, Khafre and Menkaure stand. The surprised discovery of this necropolis in April 1990, when accidentally the horse of a tourist who galloped on a hill south of the Great Sphinx stumbled upon semi-buried adobe structures that caught the attention of archaeologist Mark Lehner. Shortly after the research work was undertaken by Zahi Hawass, who confirmed the presence of a necropolis of the Old Kingdom. The works of Hawass and the discoveries followed one another during more than a decade, being especially striking the one realized in 2010, when they were located burials that could be dated in the Dynasty IV, chronologically to the pyramids of the pharaohs Khufu, Khafra and Menkaure. However, tombs of later dynasties, especially of the V, have also been found in the site. The necropolis of the pyramid builders is very close to an extensive area of habitat identified as the town where the workers of the pyramids lived and, where Mark Lehner documents warehouses, streets, houses, bakeries, large collective rest areas and dining rooms (possibly intended to accommodate temporary staff). So very close to the place where they lived and worked, some of the architects of the most formidable constructions of antiquity also burial. They are tombs that speak to us of a wide hierarchy of workers and of positions like the one of “supervisor of masons”, “director of craftsmen” or “head of stonecutters”, emphasizing by rank the one of “director for the works of the king”; but where the “supervisor of the granaries” or “the director of the bakery of the workers” also call the attention, that give testimony of the great supplies that were needed for the construction of the great pyramids. To this we can add the presence of family burials, which indicates that there were people who were permanently settled in the area and where married couples and their children were buried. 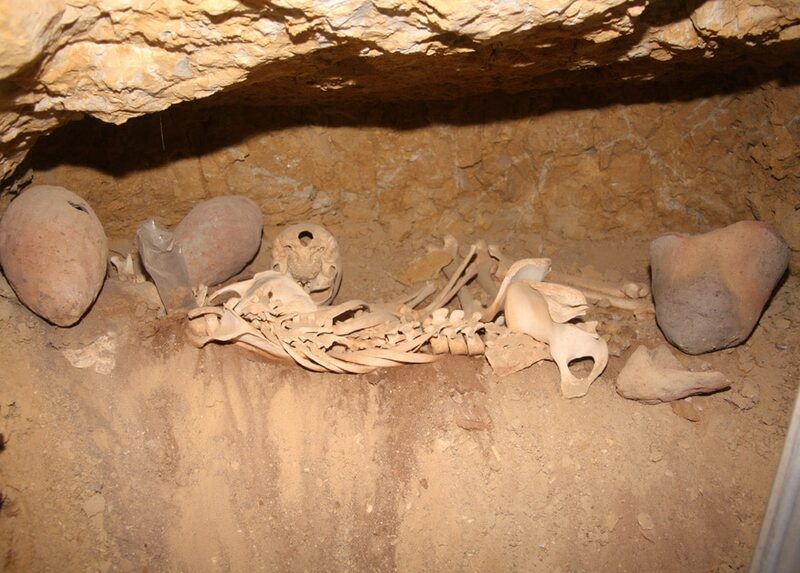 Although the tombs are generally characterized by modesty, during the excavation work were found remains of sarcophagi, inscriptions, ceramic objects, false door stelae, figurines, bas-reliefs and also human remains whose analysis revealed the hard work that these individuals owed perform throughout his life, evidencing bone wear, spinal deformations and even broken bones that would have been treated medically, which indicates that the workers received attention. It is also interesting to note that some materials used for the construction of these humble tombs are discarded elements of the constructions of the great pyramids, which did not serve the kings but were useful of their workers, even if they were broken slabs. How Was the Great Pyramid of Giza Built?